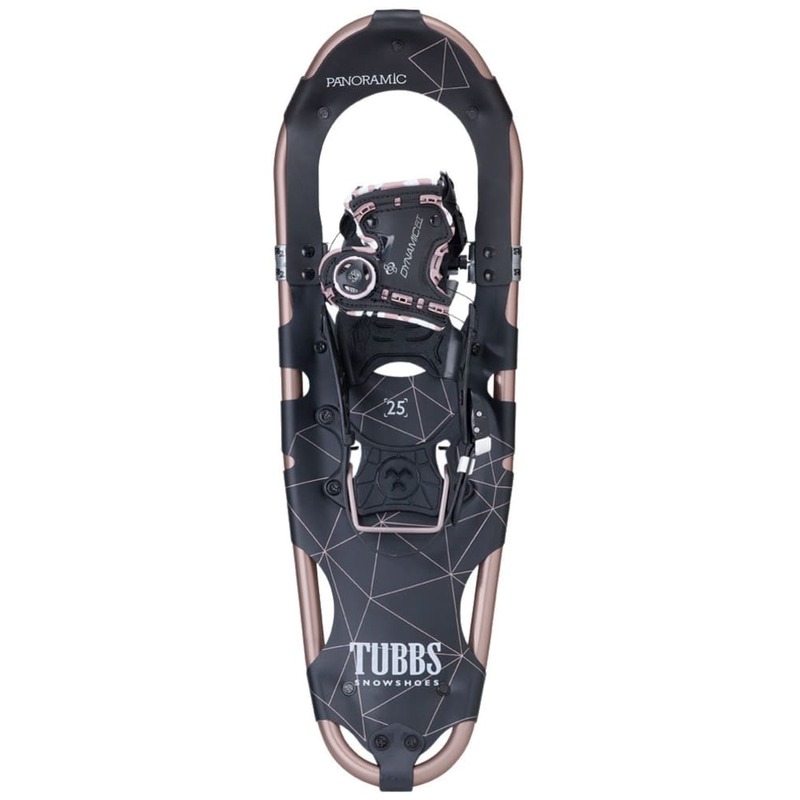 The Tubbs Panoramic women’s snowshoe is poised for optimal floatation in fresh snow. 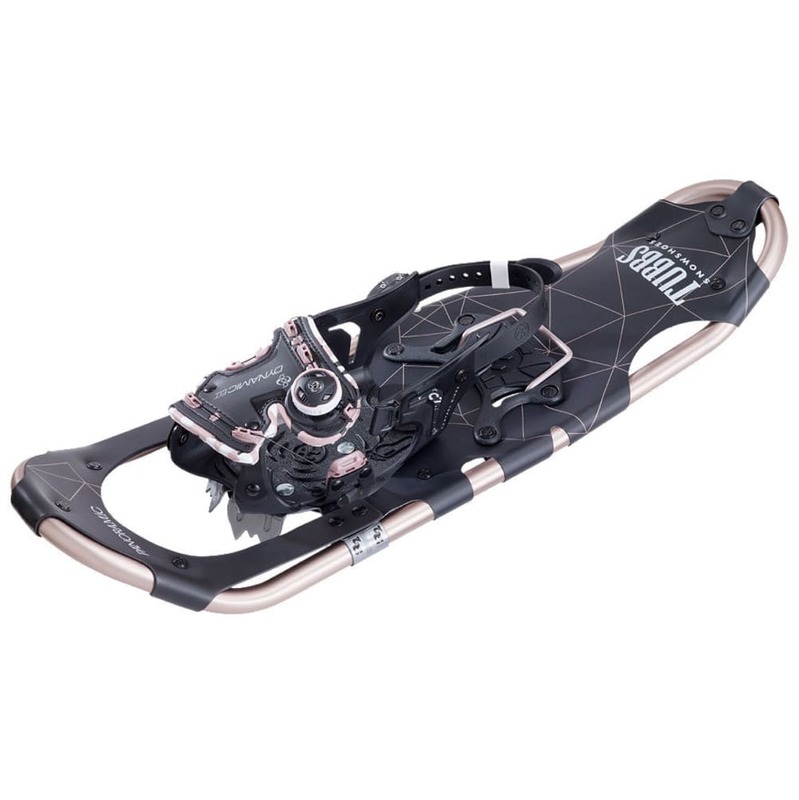 This shoe’s flexible DynamicFit™ and reliable Boa® closure system deliver uncompromised security, and Cobra Traction design will grip unexpectedly icy terrain. Don’t turn around early – tackle local trails and reach winter vistas on the Tubbs Panoramic. 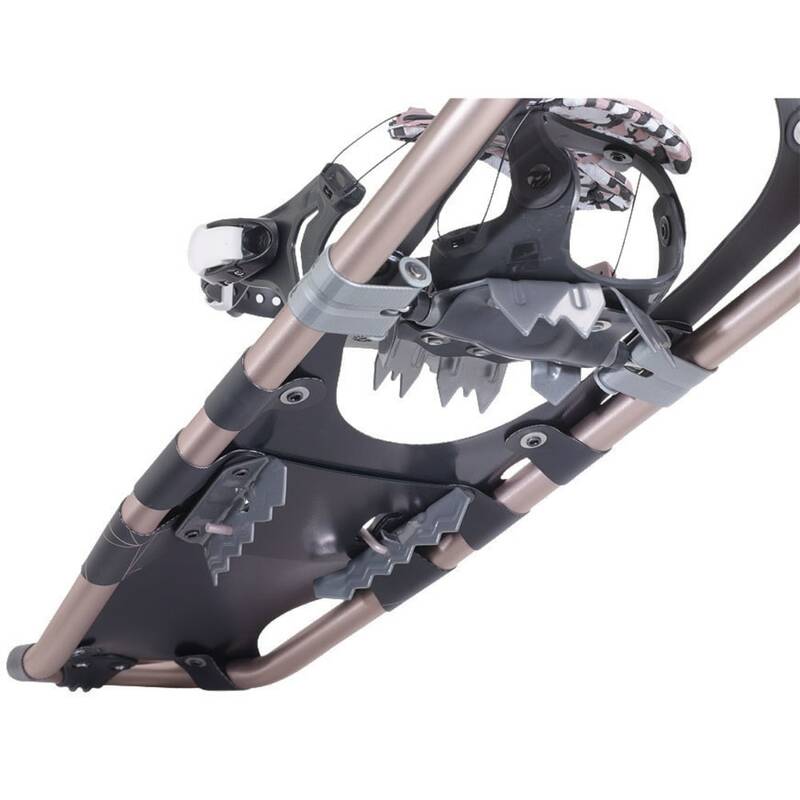 Carbon steel Cobra™ toe crampons located under the ball of the foot provide constant penetrating contact. Weight per Pair: 4.2 lb. Dimensions: 8 in. x 21 in. Mfr Rec. User Weight (with pack): 80-150 lb. Avg. Weight (pair): 4.2 lb.